Razer announced that their mechanical gaming switch will be coming to third-party keyboard makers later this year. 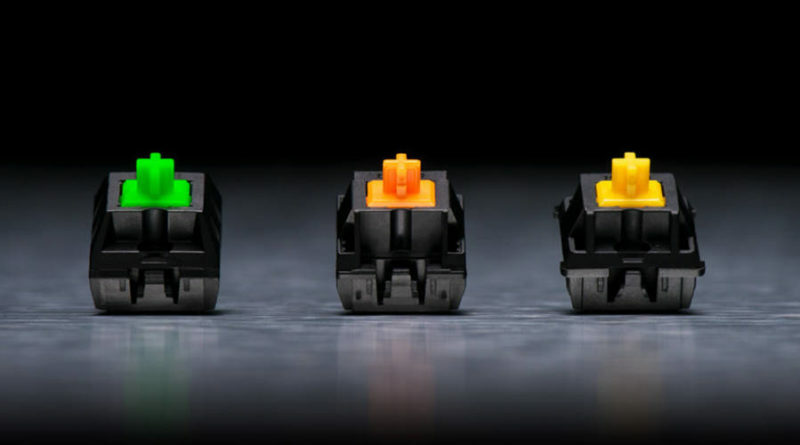 Until now, the Razer Switches have been exclusive to the BlackWidow series of keyboards. There are also going to be standalone sales of the Razer Switches, so that DIY enthusiasts can modify or create their very own keyboard. Further information and details about the Razer Switches are available at razer.com and our mechanical keyboard switch comparison. Not only did Razer partner up with other keyboard makers, they also announced to begin allowing selected companies to connect their devices to the Chroma ecosystem. In their press release, they announced MSI, NZXT, AMD, Thermaltake, Lian Li, Vertagear, Gigabyte and Ducky as partners. These companies are given access to the API, so they can sync the illumination of PC cases, motherboards, cooling fans and other hardware with the Chroma lighting of the Razer devices.